When I moved to New Jersey from Germany in 1983, I decided to pursue interests I’d never had the courage to pursue in high school. I got a job answering phones at the music publishing arm of a major record label in NYC. I joined a heavy metal band as their lead singer. I paid for the privilege to host a 30-minute heavy metal radio show that aired down the Jersey shore (and parts of NYC) on Monday nights at midnight. The company that made this possible was called NBS (I still have my ID card somewhere). I taped the show on Saturday mornings at 10am, at their studios in midtown Manhattan. Each week, I carefully compiled my playlist, buying or borrowing albums to lug up to New York on the North Jersey Coast Line train. I think I had enough time to play 3 to 5 songs, plus two 30-second PSA’s. I recorded those PSA’s on carts and engineered my own show. I learned to end each show with an instrumental, which is easier to fade out than an actual song, should I mistime my show. (I ended a lot of shows with “Dee” by Randy Rhoads, “Switch 625” by Def Leppard, and the intro to “Crazy Train,” by Ozzy). As MegaForce Records expanded and opened a record store, Rock ‘n Roll Heaven in Clark, New Jersey, I was given access to more bands and albums. I took to giving Rock ‘N Roll Heaven a shout out in each week’s show, giving special thanks to store manager Brian Nyers, who is one of the most nicest people around. I played bands like Venom, Manowar, White Lion, Battalion and Talas, as well as giants like Iron Maiden, Judas Priest, Ozzy and Black Sabbath. I went to some great shows at Roseland Ballroom, L’Amour in Brooklyn and L’Amour East in Queens, and talked about them. I interviewed bands like Talas (Billy Sheehan‘s group) and Loudness (from Japan, with lots of interpretation from their Irish manager). The fun ride lasted about a year and a half, before NBS went out of business. 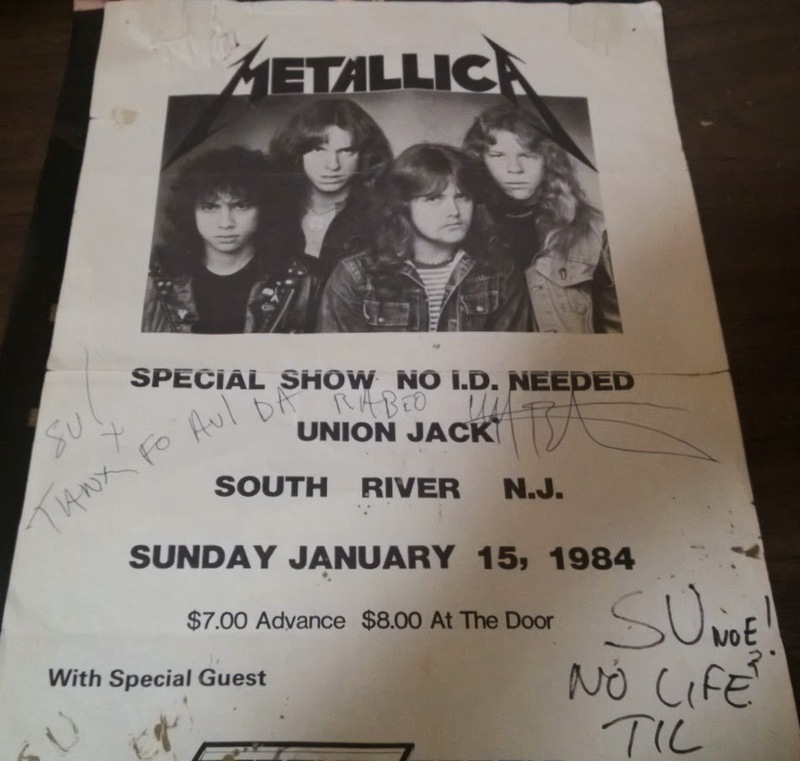 I had a great time sharing metal with listeners up and down the north Jersey coast and was sad when it ended, but had no desire to pursue a radio career. My passion lay in writing, and I was fortunate to land a gig writing for Hard Rocks, a short-lived but awesome offshoot of The Aquarian Weekly. I met some incredible people, some of whom are still in my life; and enjoyed some incredible music by countless bands, some who flared brightly for an album or two before fading away, while others are still going strong. MegaForce Records continues to support rockin’ music, with Jon & Marsha still at the helm. Their #1 person, Maria Ferrero, runs her own PR firm (Adrenaline PR) and management company (Breaking Bands LLC). Bob Cutarella is a highly-respected music producer in LA. Metallica, Raven and Anthrax are still going strong. Brian is living a quiet life but is active on Facebook. Sadly, L’Amour, L’Amour East and Roseland Ballroom are no more. I don’t even know whether there are any clubs left in the New York City or tri-state area that cater to heavy metal bands. I smile when I think about my time as a radio DJ. Most of my listeners were guys and they never remembered my name. I was known as “The Chick that Plays Metal.” I had cassette copies of every show, but sadly, like the metal clubs mentioned above, they met a tragic demise. All that remains are memories, which may or may not make it into one of my novels. Writing about this experience has given me some ideas, though, so as they say in show business, stay tuned.